In collaboration with your primary care physician and other specialists, our cardiologists, electrophysiologists and associated heart care professionals will provide comprehensive cardiovascular care, as well as education to you and your family. As a patient of Oregon Heart Center, you will have the support from multiple cardiac specialists for the diagnosis and treatment of various cardiovascular conditions, including heart disease, atrial fibrillation, and lipid management to name a few. Many arrhythmias are considered harmless and do not require treatment. However, for those that need medications, routine imaging, a hospital based procedure, or other additional care, our physicians will determine the best route of management for each patient. An ultrasound test that shows how well blood is flowing through the carotid arteries. Patients may be evaluated in an outpatient clinic setting by a cardiologist as requested by their primary physician or by self-referral. A non-invasive test that uses ultrasound to evaluate the size, thickness, and pumping action of the heart. It can also help evaluate murmurs, valve problems, or fluid around the heart. It creates a moving picture outline of your heart’s valves and chambers. This is often combined with Doppler ultrasound and color Doppler to evaluate blood flow across your heart’s valves. A routine and non-invasive test that uses electrodes placed on the skin’s surface to show the heart’s electrical activity as tracings on paper. A portable EKG machine (attached to electrodes on your chest) that monitors the electrical activity of a freely moving person’s heart. Similar to a Holter Monitor, an Event Monitor is used if your symptoms are infrequent and is typically worn for a month. A portable EKG machine (attached to electrodes on your chest) that continuously monitors the electrical activity of a freely moving person’s heart. Worn generally for 24-48 hours, it is most often used when an abnormal heart rhythm or ischemia is suspected. Your doctor will learn if you are having irregular heartbeats, what kind they are, how long they last, as well as what may cause them. A continuously recording ECG monitor that can be worn up to 14 days. It is indicated for use on patients who may be asymptomatic or who may suffer from transient symptoms such as palpitations, shortness of breath, dizziness, light-headedness, pre-syncope, syncope, fatigue, or anxiety. , our physcians will create a treatment plan for each patient which may include medications or diet and lifestyle adjustments. This is a diagnostic stress test done by injecting a small amount of radioactive tracer into the patient. 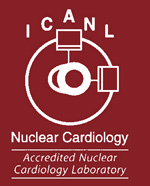 A special camera, which detects the radiation released by the substance, is used to produce a computer image of the heart. These pictures are taken both at rest and after exercise. The combination of these two pictures can help determine if there is adequate blood flow to the heart at rest as well as during exercise. After implantation of a pacemaker or defibrillator, consistent monitoring of a patient’s device is necessary. The type of device determines the type of follow up monitoring that is needed. The monitoring of devices keeps our physicians informed as to the longevity of the device (as to when it might need to be replaced), how the leads are functioning, and what “settings” are best for each individual. Follow up appointments range from in-office checks to those done remotely. A procedure combining echocardiography with exercise to evaluate the heart’s function at rest and with exertion. A test performed in the office by a trained technician to determine the amount of stress that your heart can manage before developing either an abnormal rhythm or evidence of ischemia (not enough blood flow to the heart muscle). There are several types of stress tests available. An exercise stress test is performed by walking on treadmill at increasing levels of difficulty, while the electrocardiogram, heart rate, and blood pressure are monitored. An exercise stress test can be done on its own or using a radioactive substance (see Nuclear Imaging). A non-invasive test using reflected sound waves to evaluate blood as it flows through the blood vessels (arteries and veins) in the body. In our office, it is most commonly used to evaluate blood vessels in the legs, arms, and abdomen. A non-surgical procedure in which a catheter is inserted into a specific area of the heart. A special machine directs energy through the catheter to small areas of the heart muscle that cause the abnormal heart rhythm. This energy “disconnects” the pathway of the abnormal rhythm. It can also be used to disconnect the electrical pathway between the upper and lower chambers of the heart. Ablation is used to treat most PSVTs, atrial flutter, atrial fibrillation, and some atrial and ventricular tachycardias. This can be combined with other procedures to achieve optimal treatment. Also called cardiac cath or coronary angiogram. This is an invasive test that allows your doctor to see how well your heart is functioning. It is used to check the blood flow in the arteries, blood pressure in the heart chambers, how well the heart valves are working and to check for defects in the way the heart wall moves. During the test, a long, narrow tube, called a catheter, is inserted into a blood vessel in your arm or leg and guided to your heart with the aid of a special X-ray machine. Contrast dye is injected through the catheter so that X-ray videos of your valves, coronary arteries, and heart chambers can be created. Results can help determine which method of treatment would be most effective. Minor blockages might be treated medically while more severe blockages may require bypass surgery. A procedure, much like a coronary angioplasty, used to open narrowed carotid arteries. This is approved for patients who have severe carotid artery narrowing and a high risk of complications from surgery. Also known as Percutaneous Coronary Intervention (PCI). This is similar to a Cardiac Catheterization, but is used to open up a narrowed coronary artery. Angioplasty is a technique which allows for enlargement of an artery (that is blocked or narrowed) without surgery. In many cases, PCI can be done during a Cardiac Catheterization. If PCI is necessary, a tiny balloon is attached to the end of the catheter. The balloon is inflated, pushing aside the plaque and widening the artery so that it no longer restricts blood flow. The balloon is then deflated and removed from the artery. A stent may also be placed in order to help keep the artery open. Also known as an Implantable Cardioverter Defibrillator (ICD). The procedure in which a small electronic device is implanted under the skin that constantly monitors your heart rate and rhythm. When it detects a very fast, abnormal heart rhythm, it delivers electrical energy to the heart muscle to help the heart to beat in a normal rhythm again. A procedure used to convert an irregular heart rhythm to a normal heart rhythm by applying electric shock. A test that safely reproduces your abnormal heart rhythm and then records the electrical activity and electrical pathways of your heart. It is used to help determine the cause of your heart rhythm disturbance and which treatment is best for you. 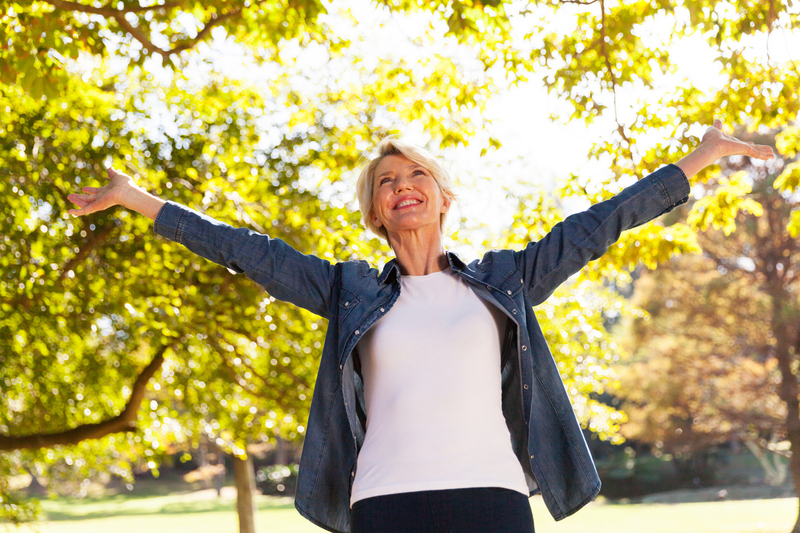 Treatment options range from medication, to an ablation, to the implantation of a device. A type of continuous recorder which is implanted under the skin of the chest. This recorder can be kept for a number of years (if indicated) and is used to record the electrical signals from your heart. Patients presenting to the ER (or currently hospitalized) may be evaluated by a cardiologist as requested by their attending physician. A procedure in which a small electronic device is implanted under the skin and sends electrical impulses to the heart muscle to maintain a suitable heart rate and to prevent slow heart rates. A test that uses X-rays to help your doctor find narrowed or blocked areas in one or more of the arteries that supply blood to your legs. The test is also called a peripheral arteriogram. An invasive imaging procedure that creates a picture of the heart’s movement, valves, and chambers using high frequency sound waves that come from a small transducer passed down a patient’s throat, into the esophagus. TEE provides clear images of the heart’s movement because the transducer is close to the heart and limits interference from air in the lungs. Echo is often combined with Doppler ultrasound and color Doppler to evaluate blood flow across the heart’s valves.